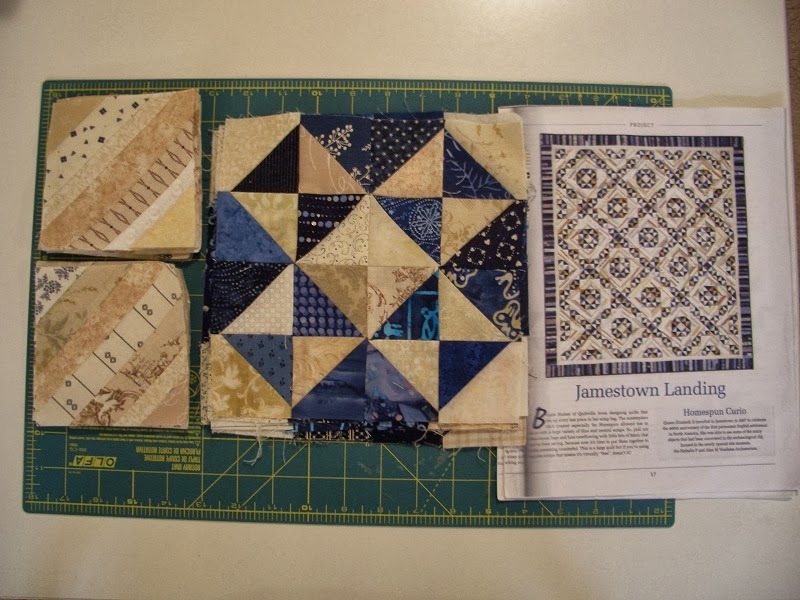 This week I am back to working on the Jamestown Landing. 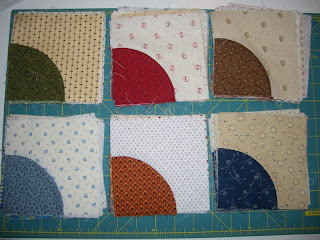 Finally have all the string blocks done- there are 168 of them- and have started to put the rows together. Hope to complete this by the end of October. 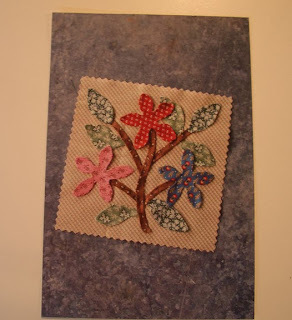 I will also be working on two applique projects. 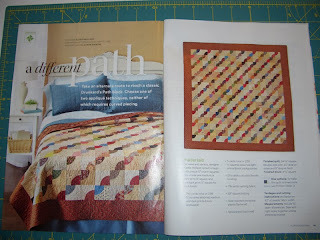 One is from Temecula Quilt Company and is a block of the month. I am working on Block 5 this week. The other appliqued project that I am working on is called A different Path and is in the October issue of American Patch Work and Quilting. 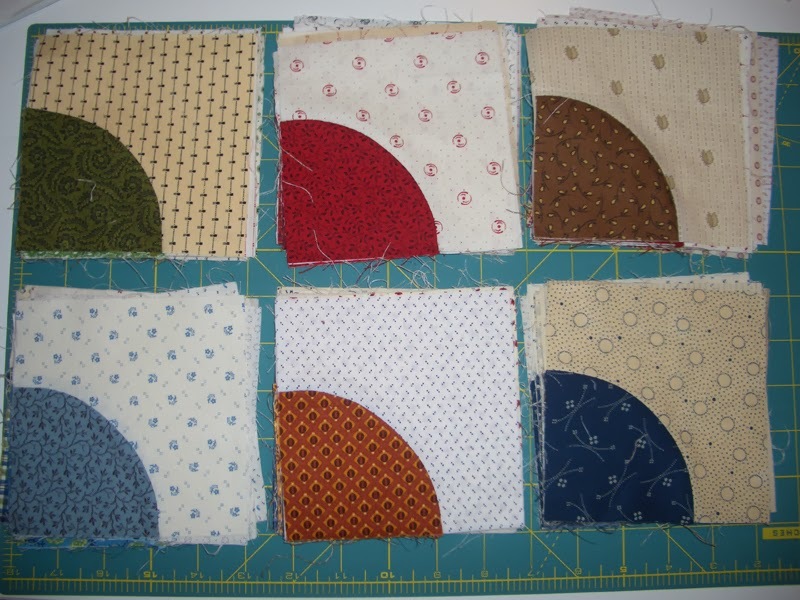 It is a drunkards path that I am appliqueing all the circle pieces. Thought it would be a great way to use up all my scraps and it is a great project to take anywhere. I have about 70 of the 256 blocks completed. I like what you are doing with your neutral strip pieces, very nice. Oh my your are appliqueing a quilt. wow, you go girl, can't wait to see the finished project. It was so great having San visiting us.